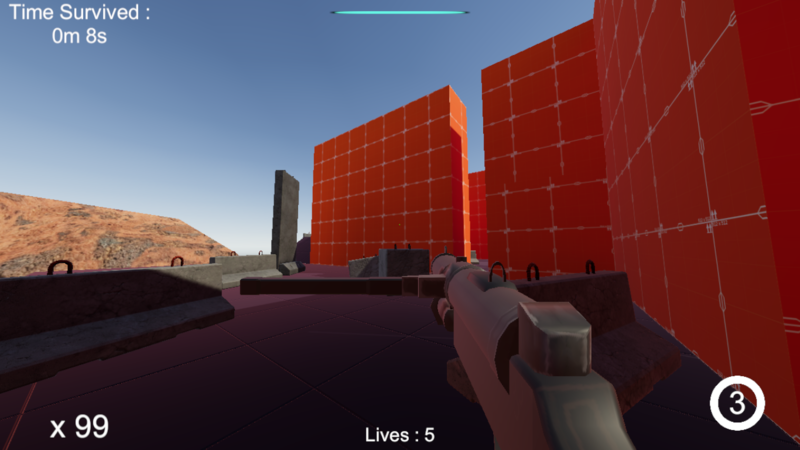 A frantic, fast paced survival FPS set in the depths of Rathen Wasteland, otherwise known as the South Sectors. Get up and personal as melee attacks give you ammo! Combo counter doesn't reset on its own, only when you kill something. Running out of ammo left me feeling a bit useless, even if I could melee my way out with enough patience. 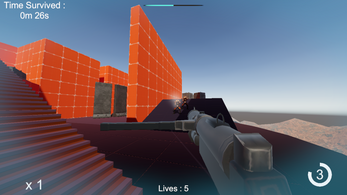 Try adding alongside the magazine count a bullet count(Primary: 10/10, 50x) as giving the player the mag count just means how many times they can 'reload'. AI is primitive and charges head-on. You run/walk faster in a crouch-like state than standing and you practically rocket jump if you ever strafe and jump. I'm able to melee enemies twice(once to kill, once more in their death animation) and get double the mags. 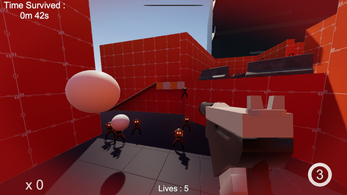 Enable the player to remain with a bullet in the chamber if they did not fully empty their current magazine, so after a reload a player would have 51/50. Not much else and I didn't catch any other bugs to report. Have fun and good luck on building your game. Movement, got both positives and negatives on. Positive is that I absolutely liked how jumping would just launch you. Almost strafejumping levels, that was fun. Negative is that it has trouble registering if you're holding both the forward and a side key. Something to look into. Other than that, solid for what it is. Didn't have much to do after I ran out of ammo, but jumping around like a headless analogy was fun.